The base mesh in curvy took about 15 minutes ( no sketch or anything that I worked with). Sculpt took about 1 hour 50 minutes. This program creates a very smooth continuious base mesh... man if I had this a while back, would have help to speed up alot of work. 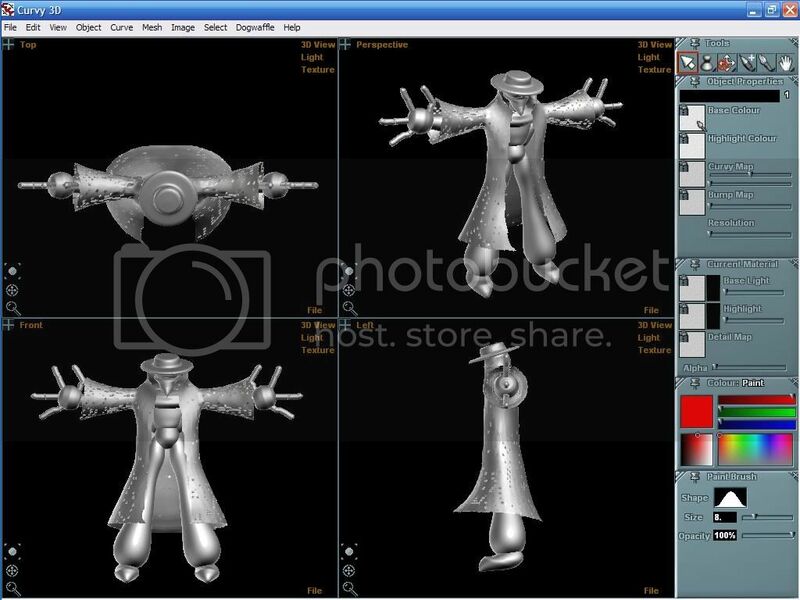 Also, I dont know why in curvy the coat looked spotchy, but when I loaded the mesh in zbrush it was completely fine. Also, the mesh wasn't subdivided when exported in to Z3, immediately I was able to begin sculpthing that amount of detail. I was going to add a big revolver and combat knife but, I need some practice on hard surface modeling in curvy first. .. well till next time. Wow! It's great to see more talent trickle in. I like your workflow in Curvy. Seems pretty solid. Not sure why your coat was spotchy. Hopefully Simon can help you. I like your style. Hope to see more of it! That is very cool - would be good to get some of these on ZBrush forums I know they are always looking for new ways to make a quick base mesh. The 'speckles' on the coat are made when flat, or hollow curvy objects are merged - that makes a thin twosided surface with a few places where one point is shared by both sides of the mesh. It's not a perfect system - but I am impressed how well the zb version turned out despite the mesh flaws! It is interesting that the original merged mesh can be quite primitive, so long as the overall shape is roughly right - and you can still sculpt it to a fine finish. I guess this is a testament to your art skills, and zbrush's toolset. I'll definately post this on the Zbrush and Mudbox forums as well ( especially since I don't think Mudbox user's have a method to create base meshes like in Zbrush-Zspheres). Just to say, this program definately speeds up my process. In alpha stage, this is pretty dang solid. Has yet to crash on me once, and I really thought it would have by now with some of the things I've done (doodles and various tool tests that I didn't post on here.... that I didn't even save for that matter xP). 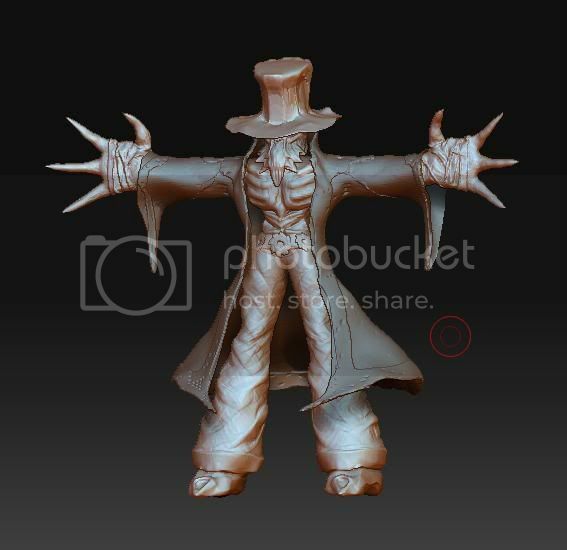 But definately I know that the Zbrush community has been searching for something like this because I know that I can do work similar to this using Silo, or even Zspheres to start out. Although it would literally take more than twice the time. And the best thing that Curvy 3D does with this work flow, is that it gives an even spread of topology through out the entire model. Which I know some of the biggest problems I had before. Because in Zbrush if you start trying to subdivide only a section, it can start subdividing later inproperly thus sometimes means you had to subdivide everything just to work on that area. But, thanks for the comments.. still more to try out. 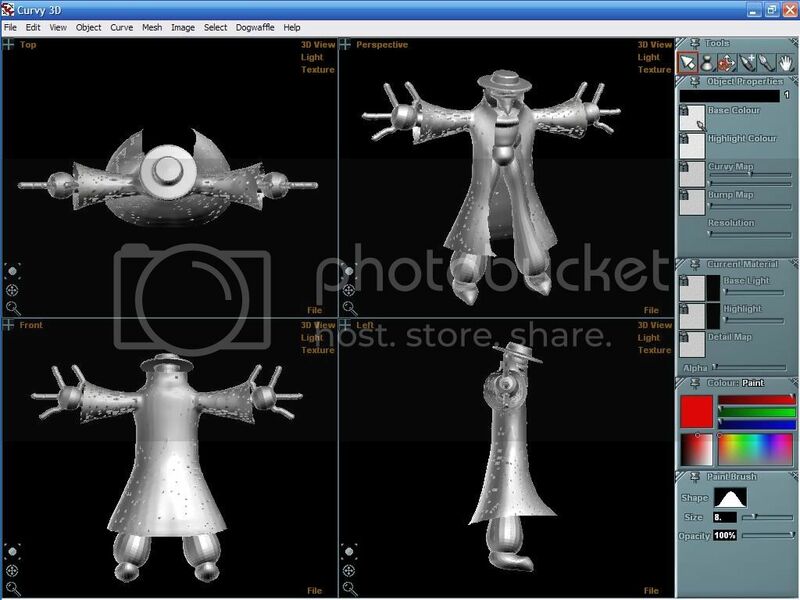 Simon wrote: That is very cool - would be good to get some of these on ZBrush forums I know they are always looking for new ways to make a quick base mesh. Thanks The even topology is certainly a reliable side-effect of the merge. Glad it helps with zb.